New Size! Great for smaller kilns too! 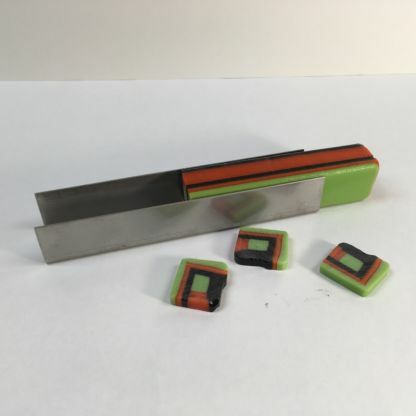 Make your own fused square pattern bar and enhance your glass designs! 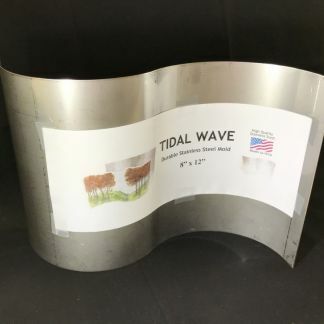 Made in the USA out of quality stainless steel. 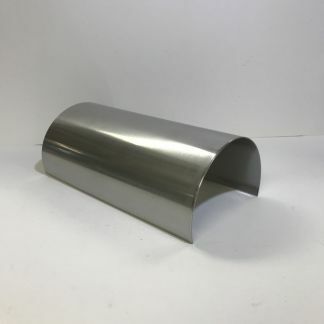 Create your own pattern bars with this unique 1″ Square Stainless Steel Pattern Bar Mold. 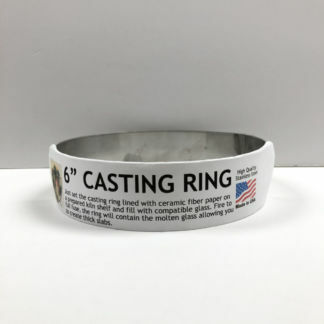 It is available in 6″, 8″ or 12″ lengths. 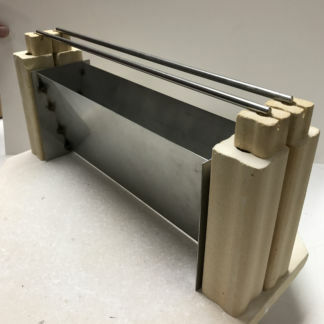 Design your own fused elements easily make really unique slices for future projects. The firing schedule may need to be adjusted to work with your kiln, as they all have their own personalities. 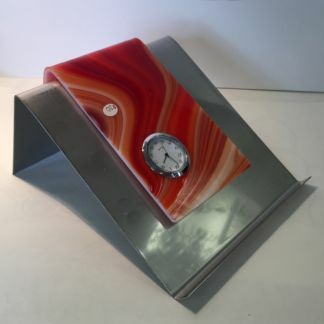 800 degree per hour to 1225 hold for 60 min. 600 degree per hour to 1525 and hold for 30 min. Full Fuse to 960 and hold 1 1/2 hour. 100 degree per hour to 700 then cool to room temperature.